Athletics Director Ed Weaver and Varsity “O” President Ralph Waldo helped establish The Ohio State University Athletics Hall of Fame. The first 23 members were inducted in September, 1977. The first class of women athletes were inducted in 1993. 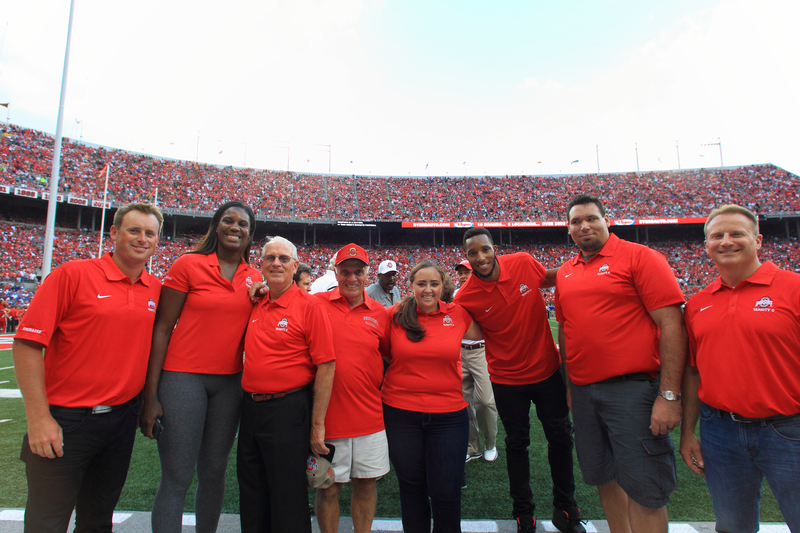 Purpose: To pay tribute and extend recognition to those individuals who through the years have contributed to the honor and fame of The Ohio State University in the field of athletics, and who have continued to demonstrate, in their daily lives, the values learned in intercollegiate athletics. Eligibility: No athlete shall be considered for recognition for at least five years after the graduation of his or her class. An athlete must have earned a minimum of one Varsity “O” letter. However, exceptions can be made for outstanding athletes who competed before their sport was recognized by the University. A coach or member of the Athletic Department must have served the University for at least 15 years. Qualifications and criteria shall be based on the candidate’s participation while attending The Ohio State University and shall include accomplishments after leaving the University. The record of the individual considered shall be so outstanding that there is no question as to the qualifications necessary for induction. Consideration shall also be given for personal conduct in life and personal contributions to the high ideals of intercollegiate athletics. The selection shall be on merit only and never of a political nature.